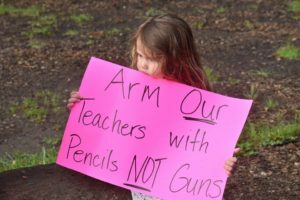 Today, I covered the Aptos, CA sister march of March For Our Lives, an international march to stop gun violence organized by the survivors of the Marjory Stoneman Douglas High School shooting on February 14th, 2018.. It must be noted that this is a departure for us, as we are non-partisan and non-political, and normally cover the events and activities of non-profit organizations in Santa Cruz County. But as founder and Presidnet/CEO of Bay Area Non-Profit News, I felt that this was too important not to cover. And as a mother and grandmother, I personally support this movement. The opinions expressed here are mine alone, and do not necessarily reflect the opinions or viewpoints of BANP News or anyone associated with BANP News. This morni ng, hundreds of community members from all over Santa Cruz County and the surrounding Bay Area in support of the students behind this movement to get military-grade weapons made unavailable to the civilian population in an effort to take the first steps toward stopping the epidemic of mass-shootings in the United States. Jennifer Allen, a local teacher, registered and organized the event with the help of her family and some of her students. After thanking us for coming, and laying out the short route of the march loop, starting at Aptos Village Park and moving along Soquel Drive to State Park Drive and back again. Jen opened the mic to anyone who wanted to speak or share, and speak and share they did. 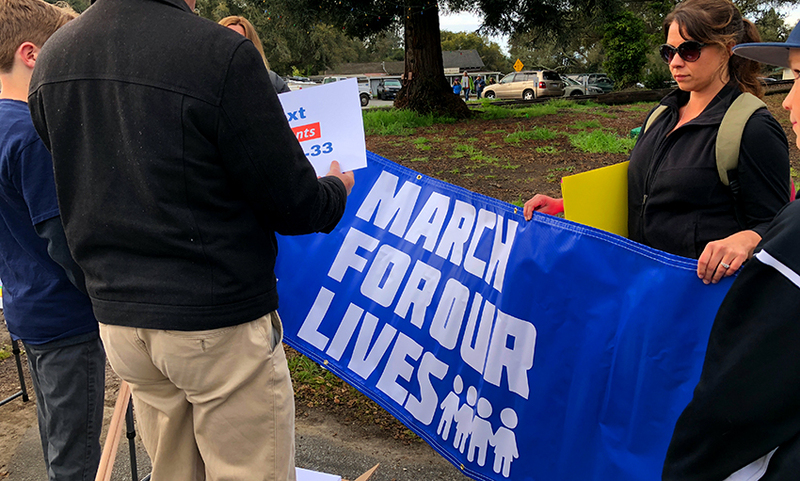 Watch the video below to see and hear more from March For Your Lives in Aptos. Thanks! Great meeting you, as well. Please keep in touch!